Every so often you meet a dog whose presence stays with you. It could be your own dog and the memory could be one of loyalty and a bond that was unbreakable, or it could be a dog you once met who made you laugh. Whatever the reason and whatever the memory, we're sure you know what we're talking about and that dog has just popped into your head. 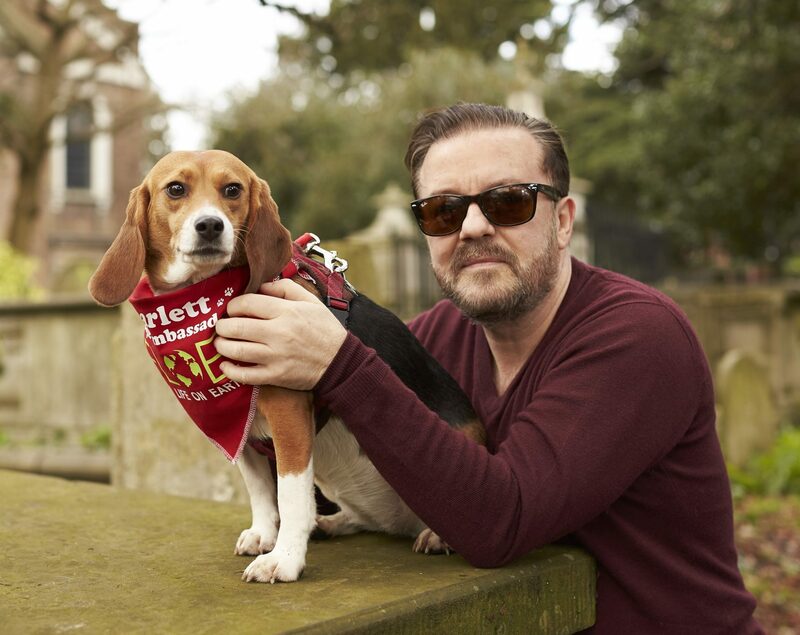 At the start of this year, we introduced comedian and well-known animal advocate Ricky Gervais to a dog named Scarlett. We know their meeting will stay with him. Ricky says, “Meeting Scarlett and sensing her painful past will stay with me forever. Like all dogs she is incredibly gentle with a heart of gold, but the horrors of two years in a toxicology laboratory are etched in her eyes and body language. Ricky: Like all the worst evils of this world, it’s about money. We are a depraved species with the arrogant attitude that we can use other species as we wish. Worst of all the lab people that do this work, believe they are on some noble mission for the betterment of humanity. All about money though!